If your morning starts with coffee, then this is THE post for you! 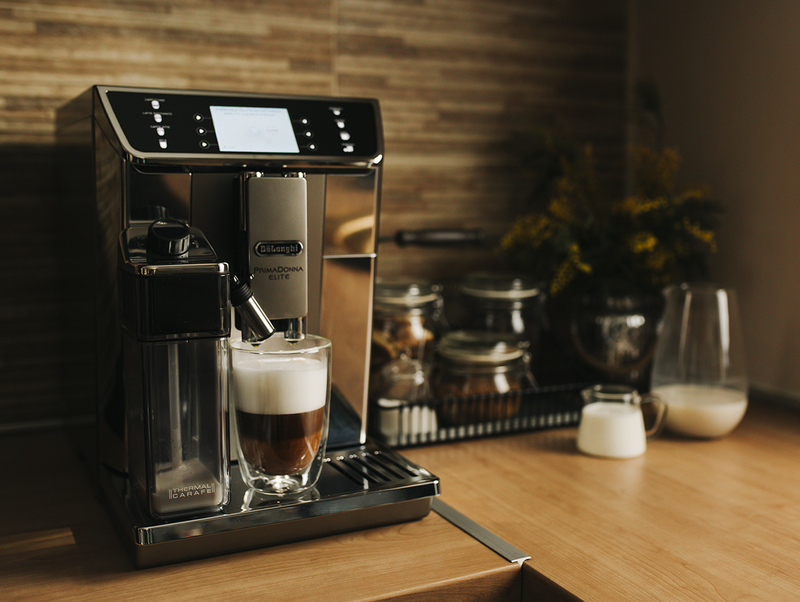 Since recently our Vienna Insider household welcomed a new member – PrimaDonna Elite coffee machine from De’Longhi family. 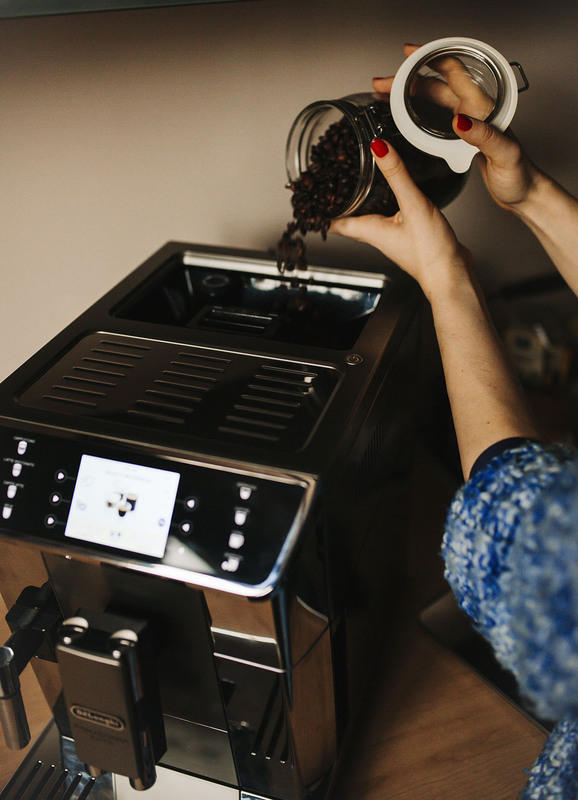 Making perfect coffee at home has never been easier! 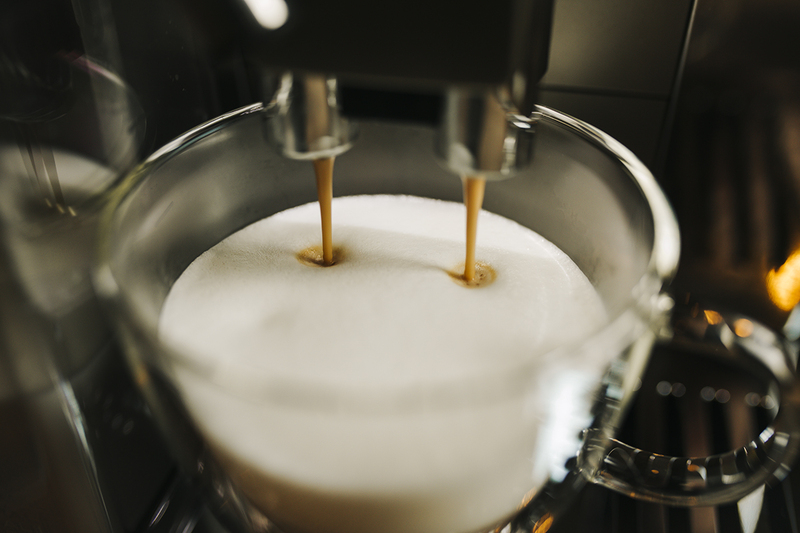 And when I say coffee, I mean cappuccino, caffe latte, latte macchiato, macchiato, espresso and co. One machine, dozen of coffee drinks, just one button away from being poured in one of my beloved cups (anyone else a mug/cup collector here?)! 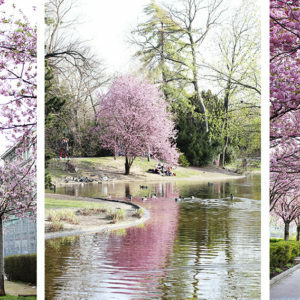 In the first part of this post I will tell you about the mighty powers of my PrimaDonna Elite. 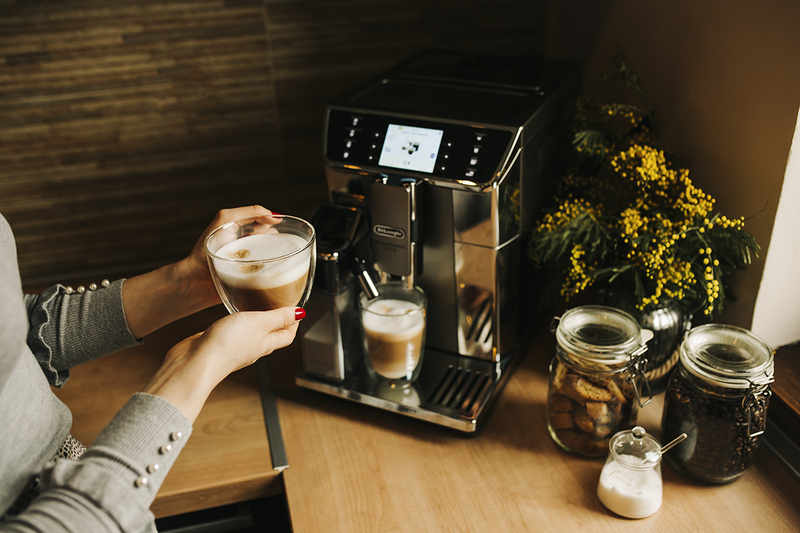 If you are looking for the perfect coffee machine, I am sure that this post will inspire you. And in the second part of the post, I will share some of my favorite typical Viennese coffee recipes that you can make at home! No matter if you have this coffee machine or not. 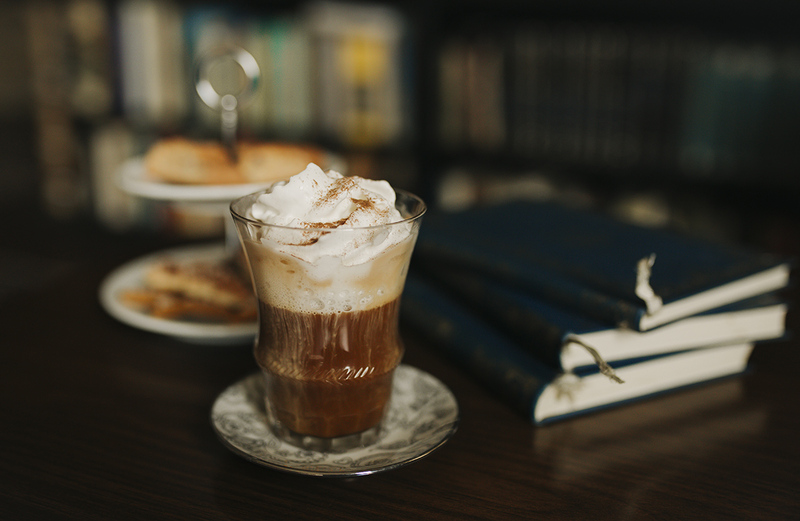 And a little bonus for our Austrian readers (and of course all the coffee lovers) who might not be so excited about the typical recipes, I came up with two Vienna-inspired coffee drinks that they can try! Now why De’Longhi? For obvious reasons, I highly appreciate brands with long tradition. De’Longhi, an Italian brand was founded in 1902 and is known worldwide for their outstanding home appliances, especially coffee machines. Extraordinary quality, long lasting appliances and innovation is what stands behind this brand. PrimaDonna Elite wowed me due to its unique features and I was over the moon when it finally arrived! It even exceeded my expectations and why is that so, you can read below. It doesn’t get more user friendly than this – a complex machine, that can make dozens of drinks and yet very intuitive and easy to use. All the functions, settings and of course drinks can be quickly accessed through the touch screen. I would say it is pretty much self-explanatory how to use PrimaDonna Elite (but make sure to always check the instruction manual!). Caring for the things you have and using them properly will make them not only perform at their best, but also serve you well for a very, very long time. 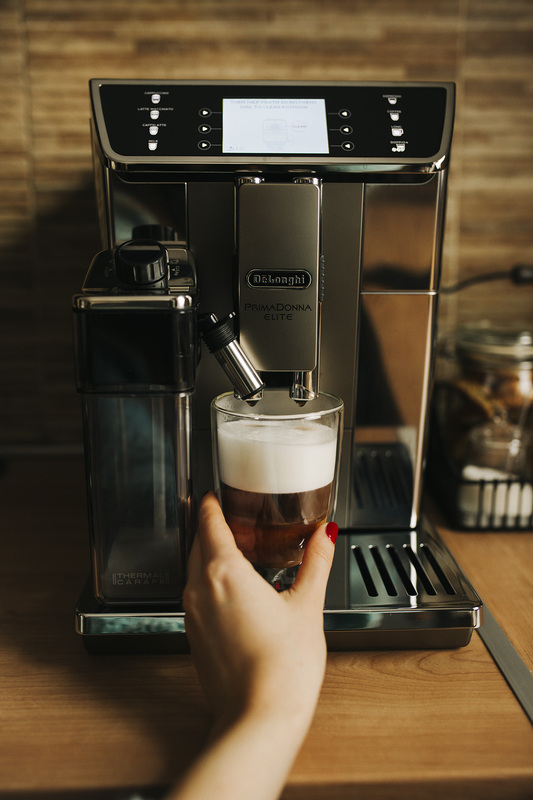 On top of everything, PrimaDonna Elite can be also used and set up via De’Longhi coffee app! You can stop it anytime – another great thing is that you can stop the coffee/milk/water flow anytime, while the machine is working. Flexible, no overflows, mess or unnecessary waste. 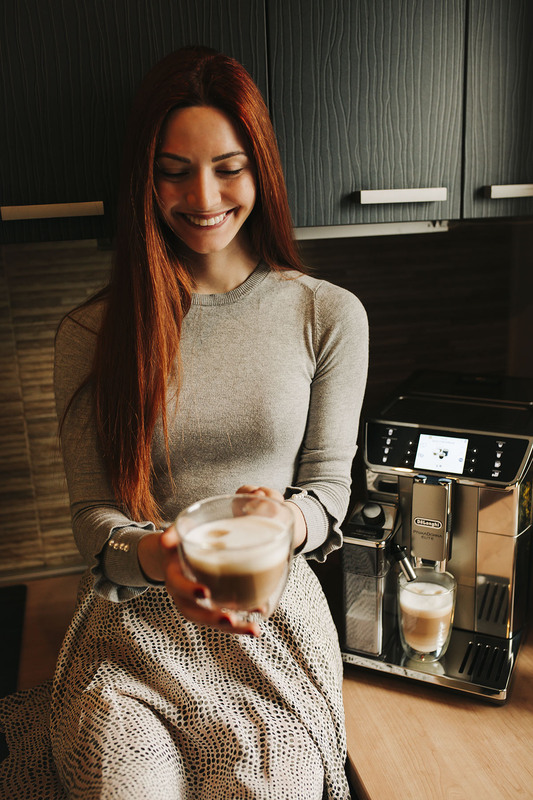 Personalized, premium coffee experience – PrimaDona Elite has integrated 12 coffee drinks and you can create your own specials! It gives you the freedom to individually customize your coffee creations. There are even user profiles where you can save your drinks, so that you don’t need to do the settings every time. Easy to maintain, clean and refill – the access to water container, coffee tray, griddle, everything can be accessed in a second. Most parts of the machine are suitable for washing in the dishwasher and in general it is very easy to maintain and keep clean. Having PrimaDonna Elite really made my coffee moments more fun and pleasurable. Not only due to the great coffee quality, but also it is impossible to get bored with it. There is always something else to choose from, or to create on your own. 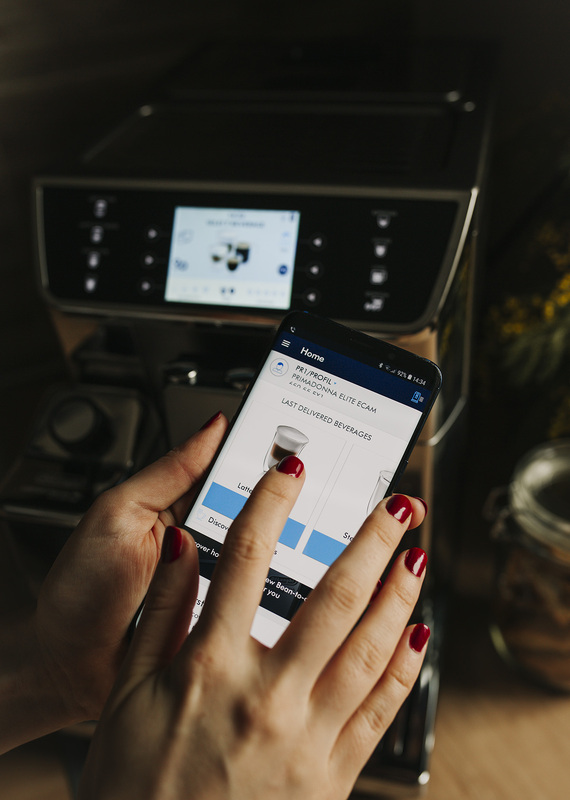 Standing in front of the machine (or even cooler, running it through the app) every morning and wondering what coffee drink will I be having, made me enjoy my morning routine much more. Not to mention the feeling when I have friends or family over and we can chat and enjoy our coffee moments together! 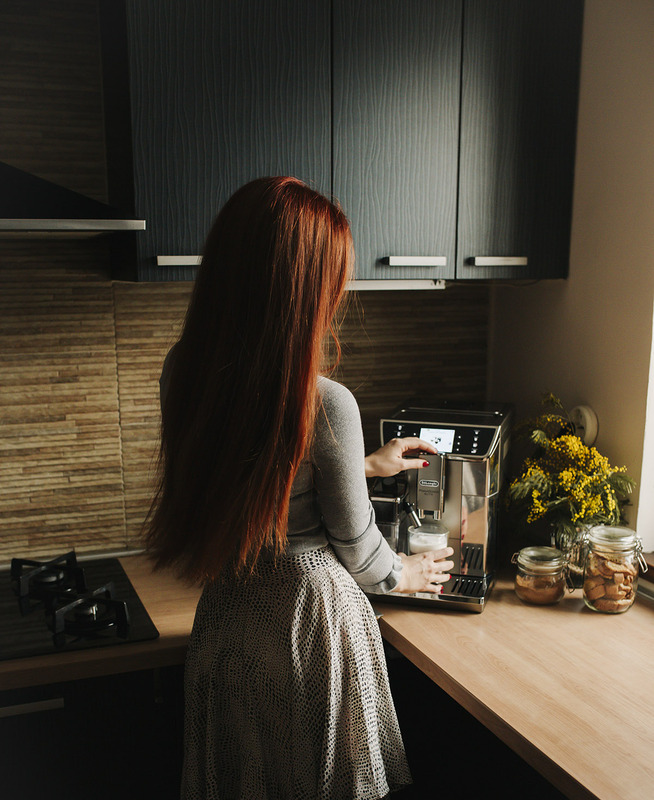 PrimaDonna Elite machine is the perfect choice especially for people doing most of their work from home (like me most of the time), for larger families, smaller offices and of course for every coffee addict out there. 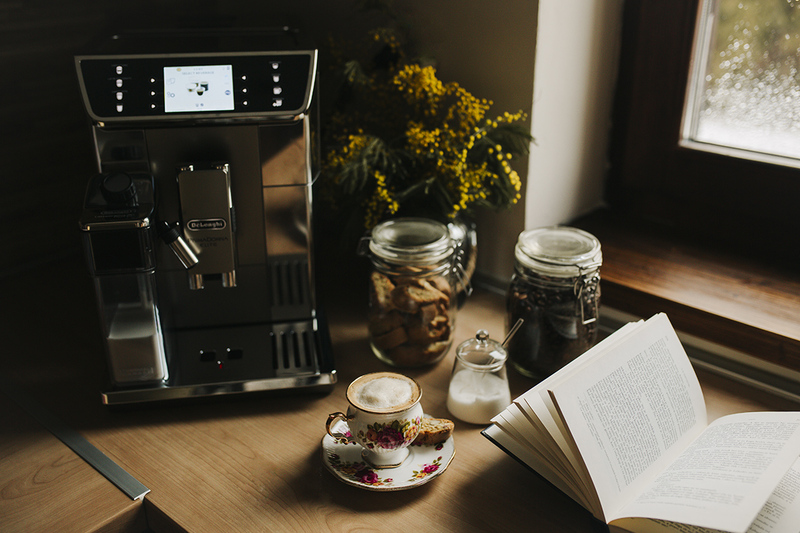 In case you don’t have much space, or are curious about other coffee machines or appliances from De’Longhi, make sure to browse their online shop. 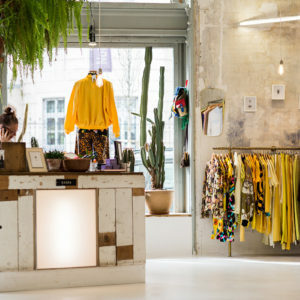 At the moment they have a sale, so take a look you never know what you can find! 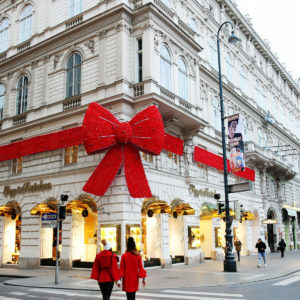 Coffee is one of the symbols of Vienna and Austria in general. You will be overwhelmed when you enter a traditional coffee houses and see the coffee card! Dozens of drinks and no wonder, as Austrians are genuine coffee lovers, that cherish their culture. I will share here three typical Viennese coffee recipes that I love the most and that you can make right at your home! Before we move on, it is important for you to mention that the base for pretty much any Viennese coffee recipe is called Mocha. It is very similar to espresso, just with a bit more water. Melange – the most popular and local’s favorite Viennese coffee specialty. A mélange is simply coffee (Mocha) with a bit of milk added and a generous dollop of milk foam on the top, served in a medium sized cup. I make it by first making regular coffee (with my PrimaDonna Elite), and on the side in a separate dish, I pour frothed milk (also directly from the machine). I then pour a bit of the warm milk in the black coffee and with a spoon I take the froth, put it on top and that’s it! If you like you can sprinkle a bit of cocoa powder on top and voila! Kapuziner – strong and creamy, this is probably my favorite from all the Viennese coffee specials. It consists of Mocha (so longer espresso), a few drops of cream (that you mix in the coffee, so that it gets a creamy, brownish color) and whipped cream. Serve it in a transparent glass or mug, so that the layers are visible. Café Maria Theresia – if you like a combination of coffee and orange aroma, you will love this one! Maria Theresia is double Mocha (if you like stronger coffee simply make it as double espresso), with a bit of warm milk, orange liquor and whipped cream on the top. To decorate, use a bit of candid orange zest or black chocolate. Serve in an elegant, taller, transparent glass. Coffee for the empresses! 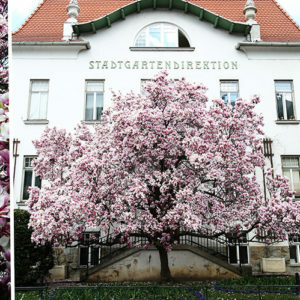 Apfelstrudel Spice Latte – one more symbol of Vienna, but how about making it a drink? 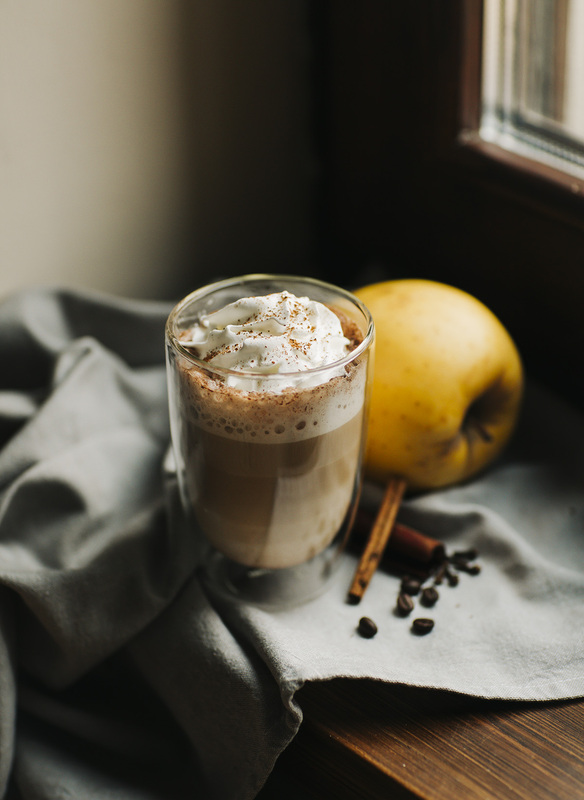 If the US people can have pumpkin spice latte, then the Austrians should have apple spice latte! First mix granulated sugar (according to your preference, can also be brown sugar) with a fourth tea spoon Apfelstrudel spices (can be store bought, or simply mix a bit of cinnamon, pinch of ginger in powder, vanilla extract or sugar, pinch of cloves in powder and mix all together). Put a bit of the spice at the bottom of the mug and pour cafe latte on top of it. Mix well. Add a scoop of vanilla ice cream (if you want to make this a colder drink). Top with milk froth (or whipped cream – even better!) and sprinkle with cinnamon or some candied apples. Almond – Maple Latte – simply coffee latte but with instead of regular, use almond milk (unsweetened) and sweeten with maple syrup. If you prefer cold drinks, you can also add a few ice cubes and a scoop of vegan or regular ice-cream of your choice. Mozart-Kugel Latte upgrade – first drizzle black chocolate or choco-sauce on the glass, pour the almond latte, add a scoop of pistachio ice-cream and there you go! A super delicious Mozart-Kugel inspired latte, ideal for summer! 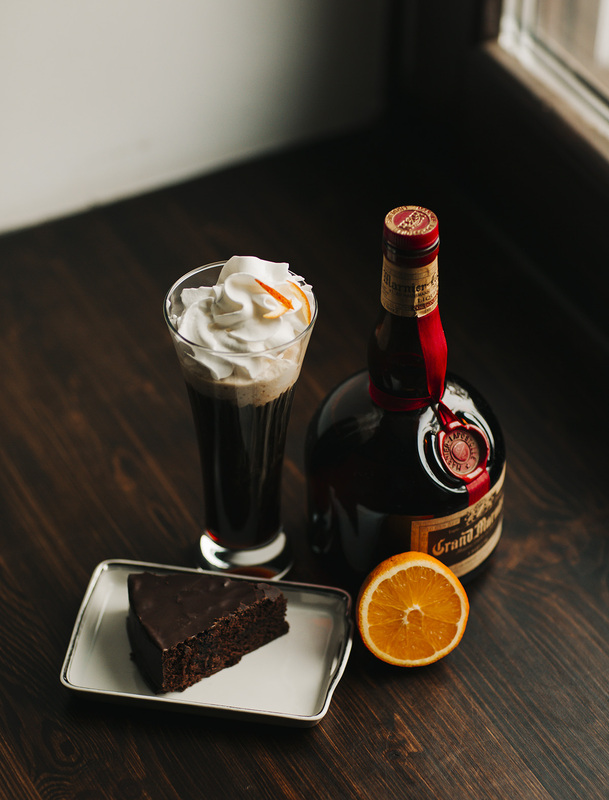 Omit the maple syrup in this case, because the ice-cream and chocolate will make this drink sweet enough. Also do not skip the almond milk, as this is crucial for marzipan aroma. Optionally, if used with regular milk and if you have marzipan liquor, add a shot and you will bring this creation to a totally different level! I hope that you enjoyed this post! And before I finally say goodbye I would like to thank De’Longhi for making me a very proud and happy owner of PrimaDonna Elite! Until next time! And don’t forget to keep an eye of De’Longhi Austria Instagram account and my takeover, coming up on 9th of February! I promise it will be interactive and inspiring!